Ipswich Rotary thanks Andover Rotarians for their generous donation of $500 towards the ongoing support of the Healthy Kids/Brighter Future project in Zambia. This money will be used to augment a Global Grant sponsored by Ipswich Rotary and many clubs in District 7930 to improve the health and learning of at risk children in one of the poorest neighborhoods of Lusaka, Zambia. In addition, the Andover club will be donating 500 books to HK/BF. 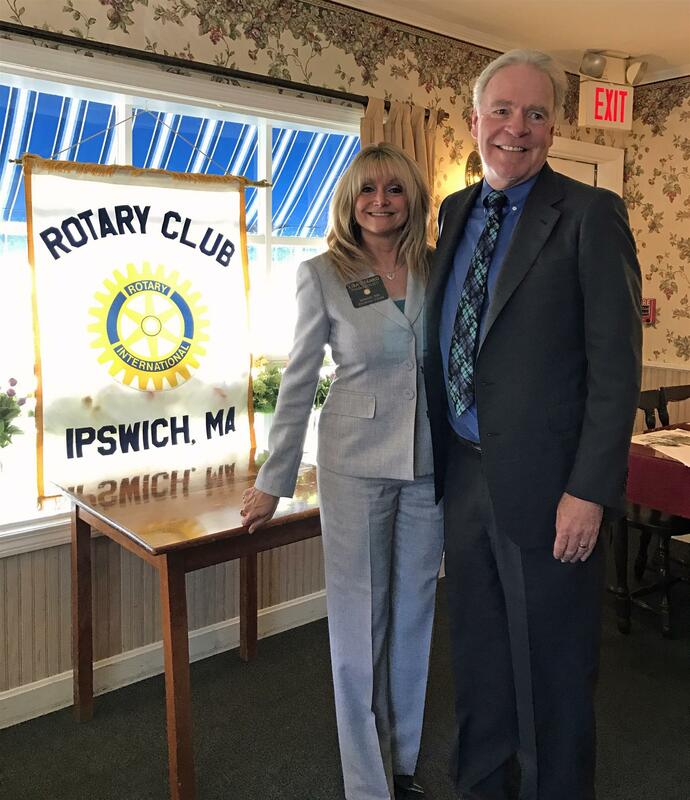 Seen in the photo are Andover Rotary Foundation Chair Jim Greeley and Ipswich Rotary President Lisa Shanko at our meeting last week in Ipswich. For more information about HK/BF, click on www.healthykidsbrighterfuture.org/. HK/BF also is on Facebook.